The Lynx YXT 24 Evolution nominated! 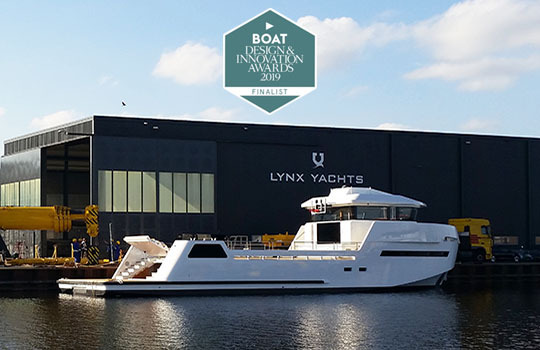 The prestigious Boat International magazine has just nominated the Lynx YXT 24 Evolution for the 2019 Design and Innovation Awards! 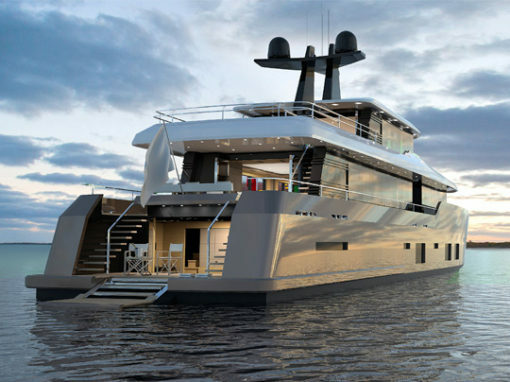 Beyond the outcome of the competition, which will be revealed in the sumptuous setting of Cortina d’Ampezzo in Italy at the Superyacht Design Symposium in January, this nomination is already a great recognition. 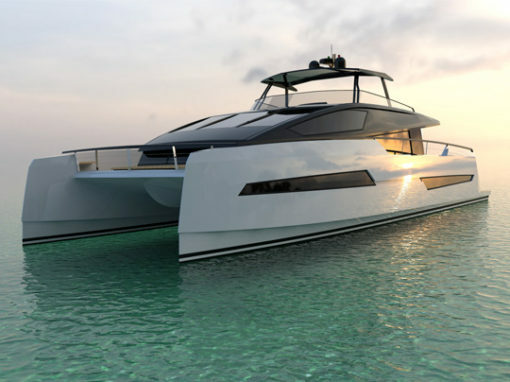 It is a credit to the visionary owners, the exceptional build quality by Lynx Yachts and the talented team of designers, of which Darnet Design is particularly proud to be a part. 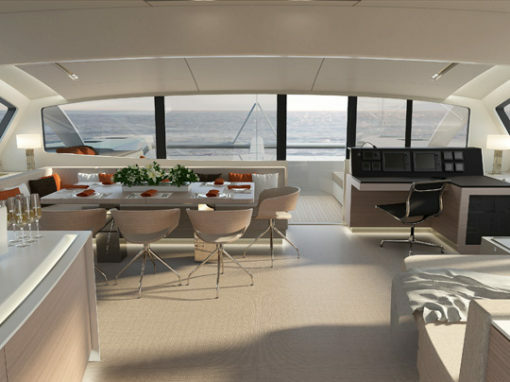 Indeed, we had the pleasure and the honour of drawing the interior of the YXT 24 Evolution. 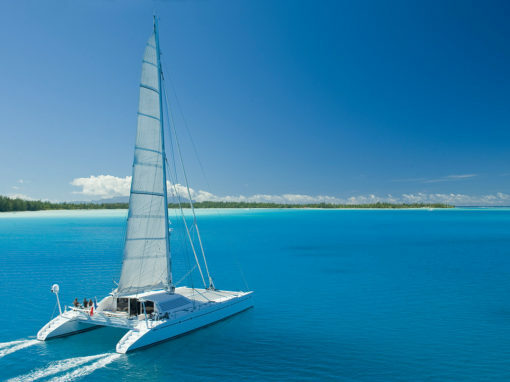 YXT stands for Yacht eXtended Tender, and refers to what is also called a Shadow Vessel, responsible for carrying everything that would clutter up the master ship. 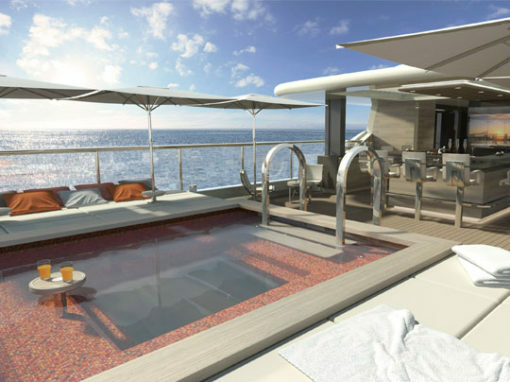 But here the functions have been extended to accommodating additional guests, and the possibility of arranging the outdoor platform for receptions, or as a private beach. 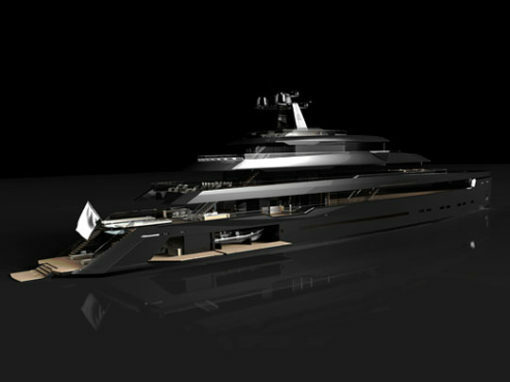 An original work, in which the Darnet Design team has been able to bring all its know-how in the optimal use, both at sea and at anchor, of available spaces and their development. This, to the greatest satisfaction of the yard at Nijkerk in the Netherlands. 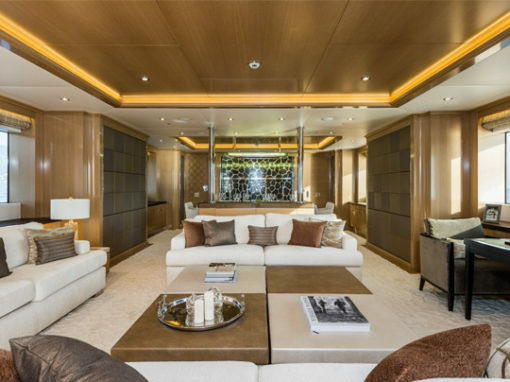 Having in common this genuine passion for superyachts, our collaboration meets the expectations of the most experienced owners, by sincere and constructive exchanges and an extreme level of care brought to every detail, creating a design where the elegance is only equalled by functionality. 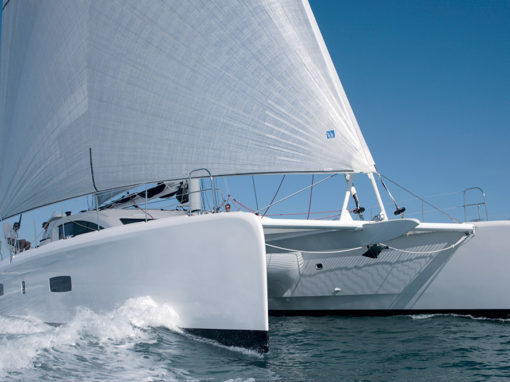 Legitimately proud of their achievements, but resolutely farsighted, Lynx Yachts is always inviting clients to “Admire the past, and look to the future”. A future that is very close for the happy owners of the brand new YXT2. We congratulate them on this beautiful acquisition and of course for this nomination. We wish them the best trips. 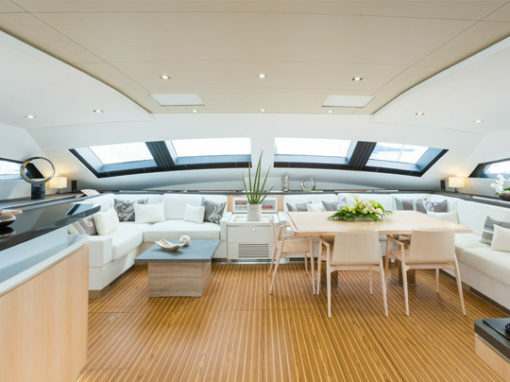 Darnet Design creates the interior and exterior design for superyachts and production boats. 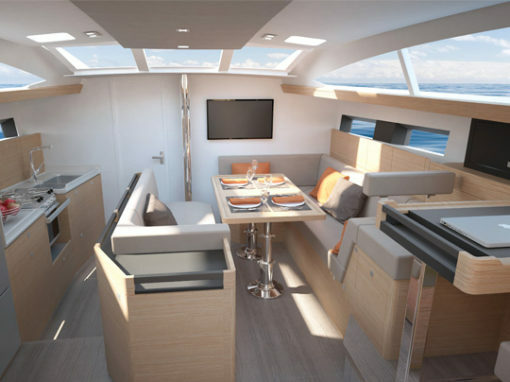 From the preliminary concept to the final product, our professional team follows through the whole creative process and the construction of your yacht. 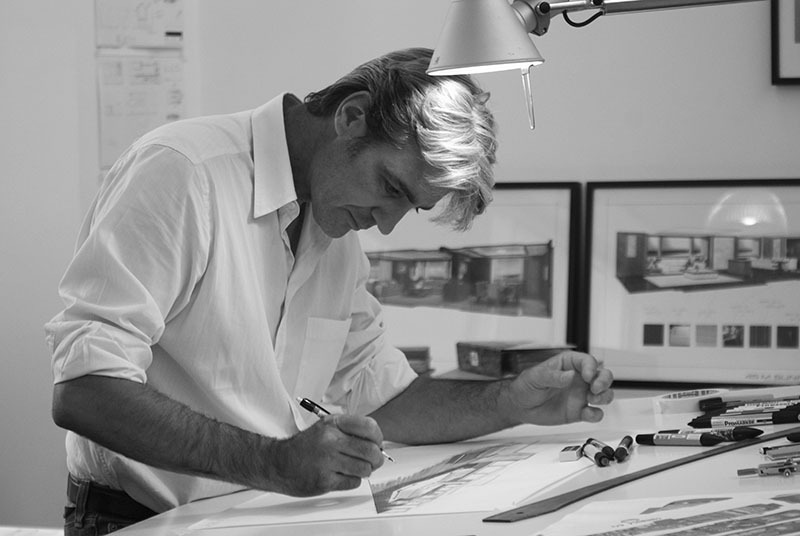 The agency, managed by Franck Darnet, is located in Nantes-France. 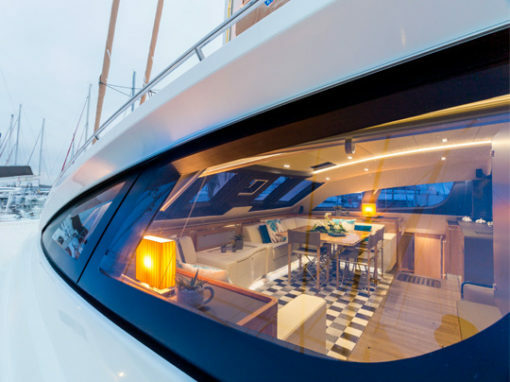 We have a team of talented designers and interior architects who combine their technical and artistic skills with their love of the sea. We share the same philosophy and the same professionalism: “our job is not just about creating an artistic concept. We guarantee it works in practise and we make it come true.” Our demanding approach requires careful planning and coordination, even before the artistic creation stage begins. 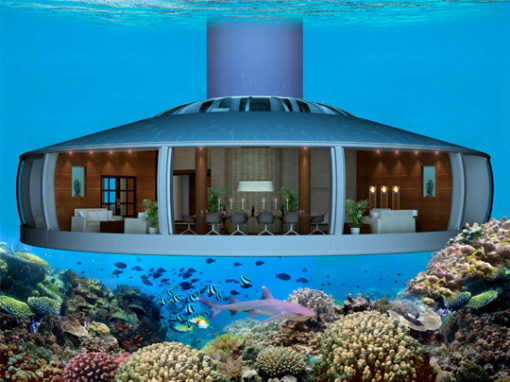 Drawing on 20 years of experience, Darnet Design also creates innovative, stylish land-based and underwater projects. 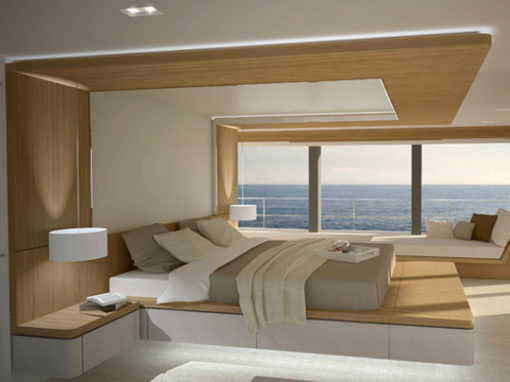 The Art of Space: We design bright and attractive interiors to live in, which provide pleasure and a sense of space. 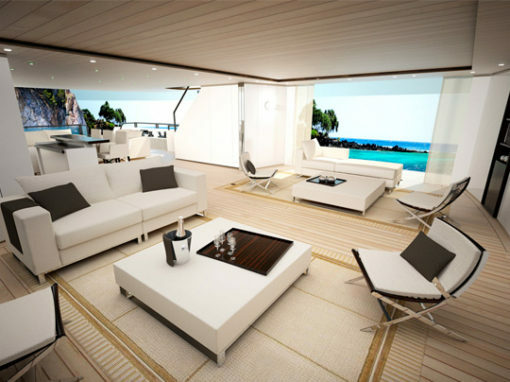 With interiors that are wide and uncluttered to optimize the visual perspective and site-lines. A few inches, a slight curve here, a recess joint there can change the perception of size. “A la carte” styles: Our design studio fulfills our clients’ desires: some dream about a classical interior, others about a contemporary atmosphere. This range makes our job tremendously exciting and gratifying. 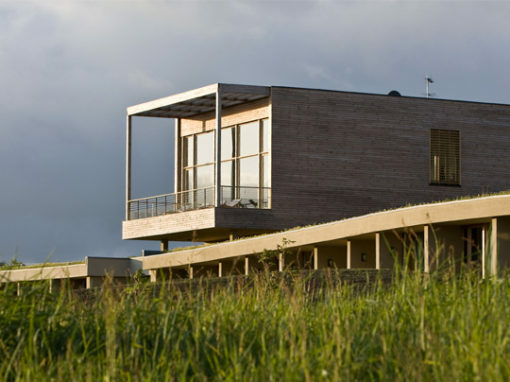 In both cases, the conceptual approach and the attention to detail are constant.